The new generation of cargo vans being offered by all the major manufactures are selling well with small business owners. These new vans are not the old boxes on wheels of yesterday. They are purpose built for small business. Available in different configurations, they offer better fuel efficiency and more standing headroom. Driving this demand is the US economic recovery. Small business optimism is up and so are van sales for deliveries, tradesmen and transportation. Add to this the generous rebates from manufactures for sales and van equipment, and it’s easy to see why in the past 5 years overall US van sales have more than doubled. If you’ve ever watched TV, you’ve seen a Ford pickup commercial, with the gravel-throated narrator growling about toughness. Last spring, for the first time in 45 years, Ford pitched a van on TV. The message appears to have landed. Ford sold more vans last month than it has in any April in almost 30 years. It may be boxy, boring, and at times kind of creepy, but the humble van is in high demand these days, and that’s a bullish sign for the economy at large. 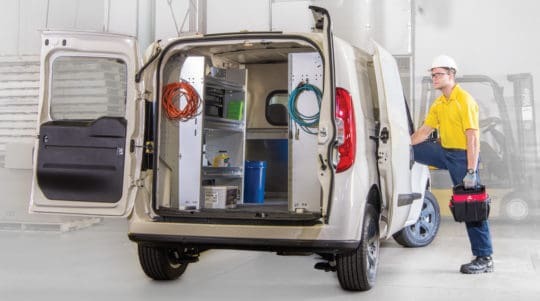 In the past five years, U.S. van sales by unit have more than doubled, easily outstripping the impressive pace set by the auto industry overall, according to data from Edmunds.com. In the first quarter of this year, the segment’s sales shot up by another third. If that pace holds, Americans will buy roughly 475,000 vans this year. Driving that demand is good old-fashioned commerce: Web shoppers clicking for package deliveries, business travelers zipping from airports to hotels, and a resurgent housing sector full of electricians, carpenters, and other skilled workers hauling the tools of their trade from one busy job site to another. Indeed, an index of small-business optimism, compiled by the National Federation of Independent Business, mirrors van sales in recent years. In addition to the economic recovery, vans are just a lot better than they used to be. The old formula was simple and crude: Take the chassis and engine of a pickup and bolt a big box on top. 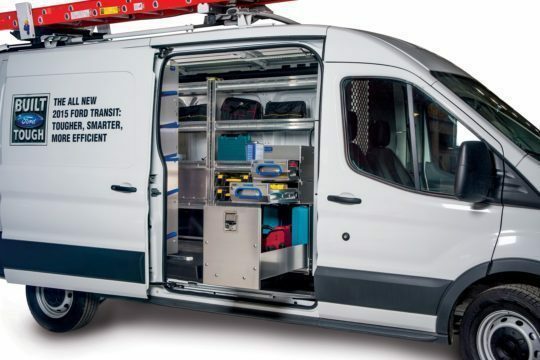 Daimler changed the game in 2001 when it started selling its Sprinter van in the U.S. The Sprinter was efficient. More important, it was tall. An electrician could walk upright down an aisle of shelves. The Ram ProMaster comes with extra headroom. But the offering that’s running away with the segment lately comes from Ford, which decided a few years ago to stop selling its midsize pickup truck in the U.S. and start making vans here that it has long hawked abroad. Ford Transit: leader in van sales. 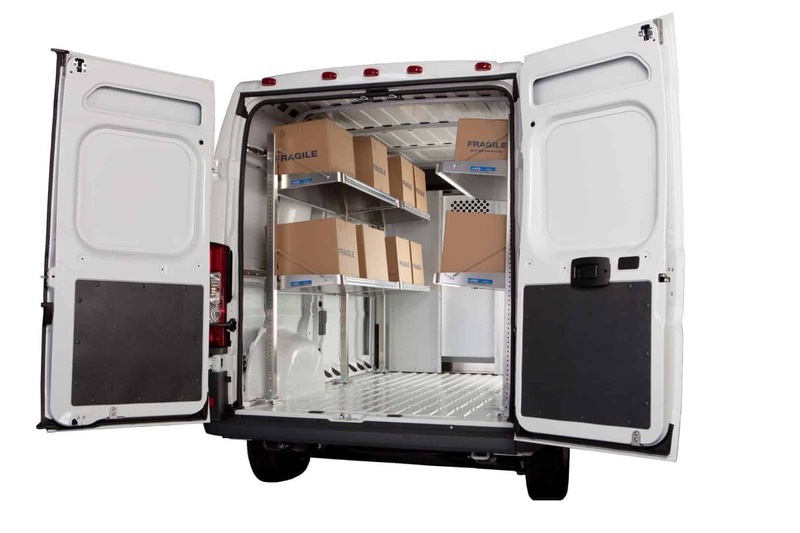 Shown with Ranger Design Van Shelving Trade Package.